It seems like a lot of track racers and teams are going for the WattBike as an indoor training solution. 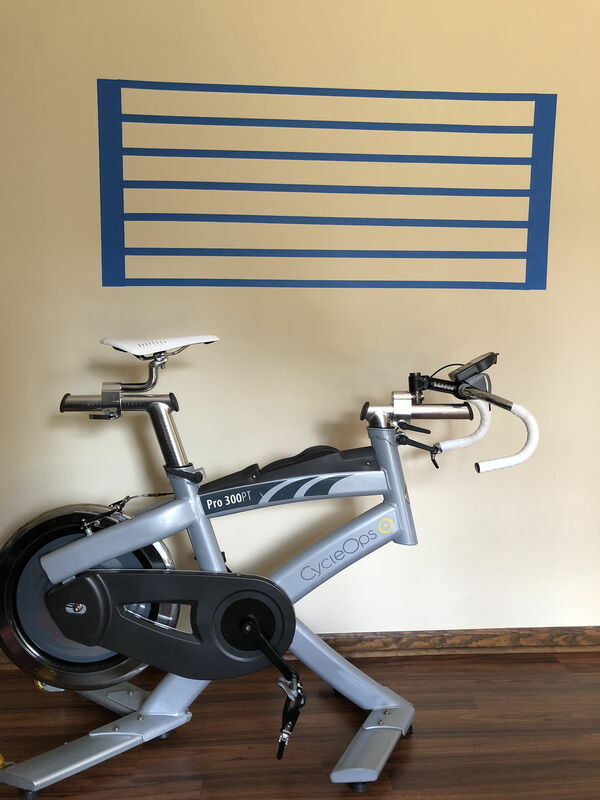 3 times I've converted an old CycleOps spin bike to a world class track sprinting workstation. I found 2 of them for $400 or less on local craigslist ads. 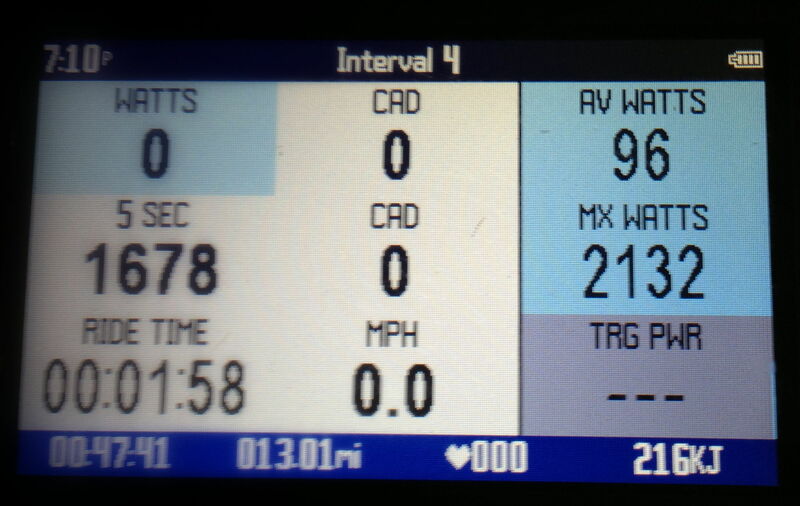 All had working power meters. 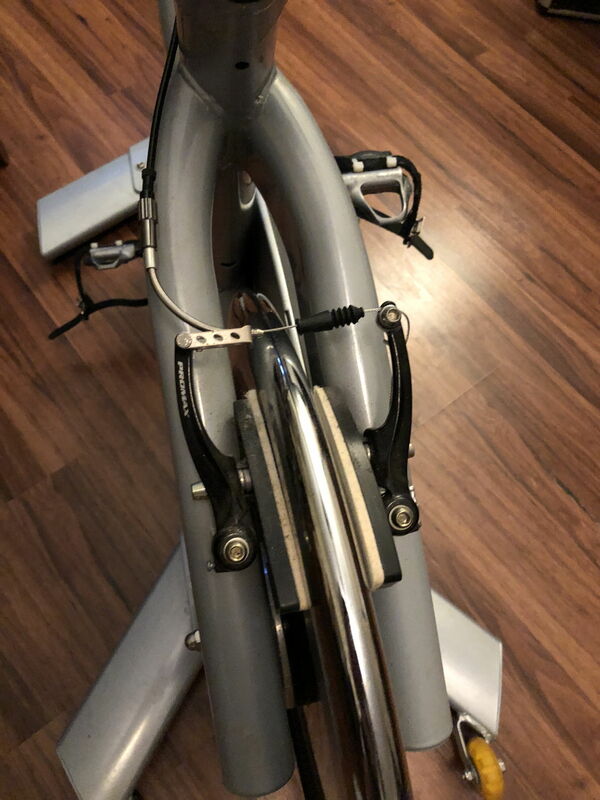 The key is to get your favorite bars on to the bike as to standard "aero bars" or 44cm drops with fake hoods are not great for standing start efforts. With my mods, you can use any bars (road, track, or aero bars). You simply add a 1 1/8" "steerer" to the unit. Note the thick silver sliding rails for adjustment. The handlebar rails are the same as the seat rails. 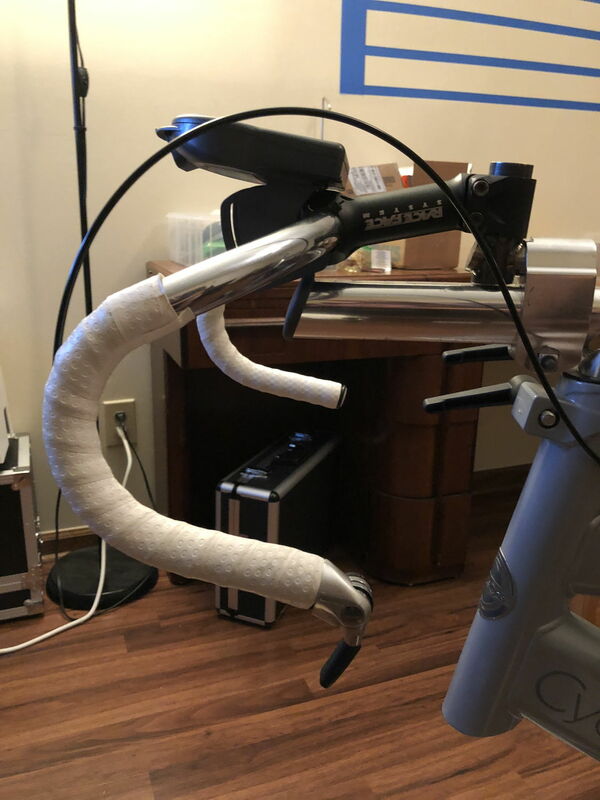 To create a steerer tube, simply buy a replacement Long Seatpost (which oddly isn't on their website anymore...crap) and take it to your favorite welder (Seth Snyder of Snyder Cycles did mine). Have him/her lop off the bent part and then weld on a 1 1/8" sleeve. That is your steerer tube. Now you can attach any stem. I suggest a stem that points downward. The only downside is that it might not go low enough for riders of much shorter than average height. It'll still be very useful, but if you want suuuuuper deep, it may not work. 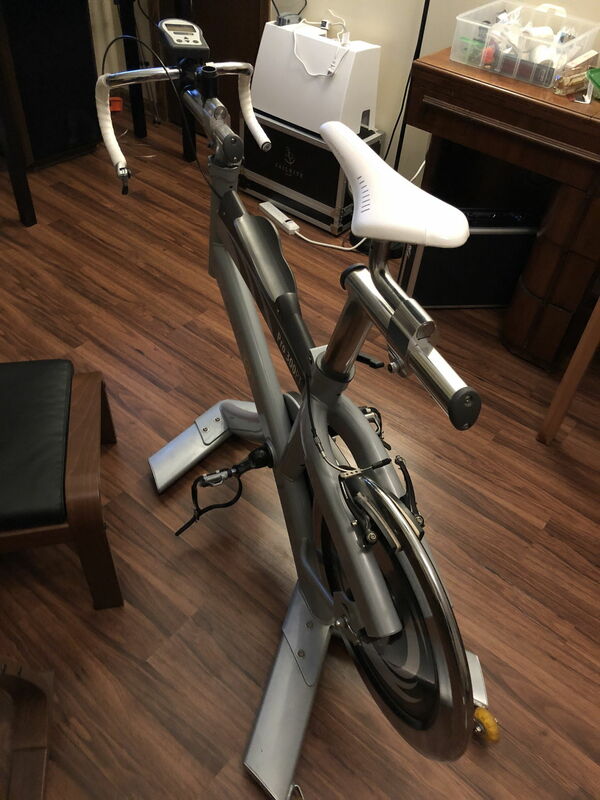 Depending on how old the spin bike is, it may have the friction control on the top tube or via cables. Top tube is good because you don't have to deal with cables. 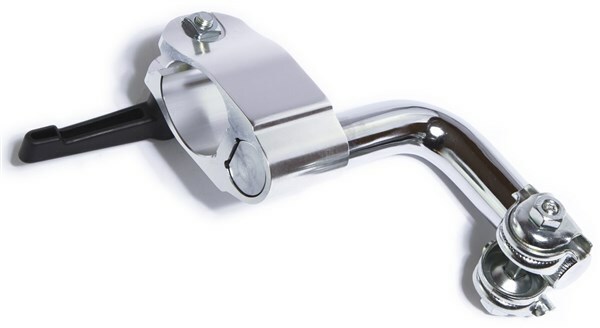 Cables are good because you can now use a bar-end friction shifter to control the resistance at the bars. Great for modulating resistance while still in the drops during the effort (e.g. simulating motor pacing). And, yes, they can take a beating. I'm over 230lbs and make over 2000W and pull on these rigs like I'm trying to rip my arms off. They don't budge. Here is one pic from a unit that I made when I lived in Portland (you can see it in the background). 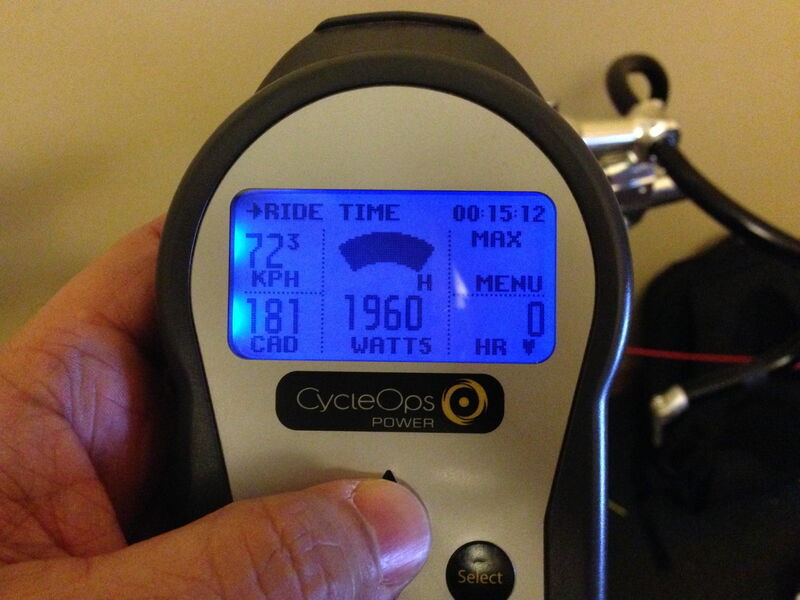 This pic is from a workout that I did in Kirk Whiteman's studio on a CycleOps indoor cycle (not modded). I did something similar many years ago to our Serotta fit machine so we could use aerobars / 31.8 bars. I think it's a good option for serious trackies who can't get to a velodrome regularly but would like to do all-out efforts. Most rear wheel home trainers can't handle over maybe 700w before slipping. The 50lb flywheel makes it great for steady efforts, too. Feels the most natural of any system I've tried (I haven't tried them all, though). I also like the fact that one doesn't have to attach/detach the track bike to it. This was a pain with the Cateye CS1000. 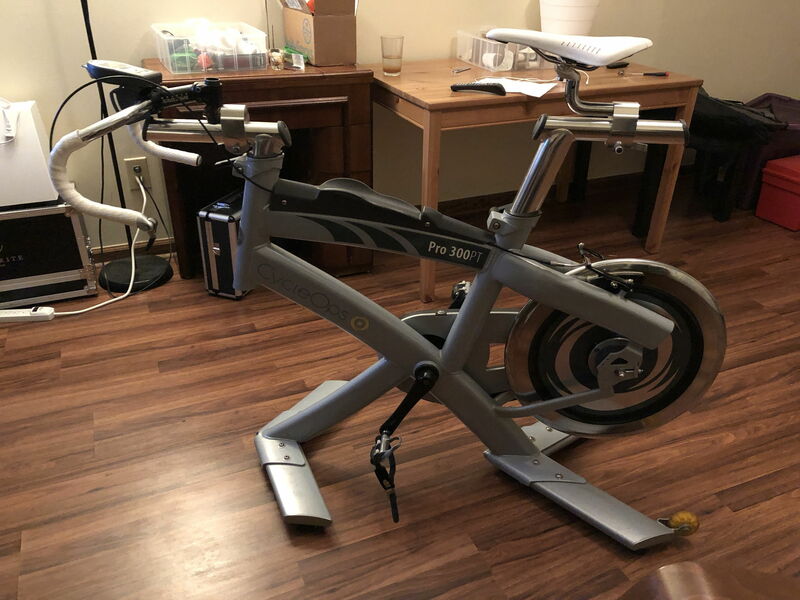 The downside is that you need space to put a gym quality (and sized) spin bike. My guess is that it's at least 200lbs. Two strong people are needed to lift it. But, it tilts and rolls easily on the hind wheels (rollerblade wheels). Beautiful and useful mod! Bravo! carleton that is a great mod. i have an old spining bike, i match the position like my track bike but the handlebar is 12cm higher and cant get lower. the wide is 1cm more. do you think is better have the exactly same position or is no diference for tranfer to the track bike? for do that i need to create a mod too. It's hard to say if your setup would be ideal or not without seeing anything. But, know that anything is better than nothing. Also, it's more about the legs than getting low. You can always bend your elbows to get lower. That is a great idea. The new direct drive trainers (Wahoo Kickr / Tacx Neo / etc) mitigate the wheel slip problem completely - my Neo can handle power outputs of up to 2200W, which is more than enough (by about a factor of 2) for me. That plus an aluminium bike to put on it (carbon bikes don't much like that level of power when they're anchored as on a turbo) seems to work well, but the issue with sprint bars remains and it's a much more expensive solution than yours is.